This tutorial provides an in-depth analysis of the Ads by Lyrics malware and covers a viable method to stop the adverts from being displayed on Mac computer. People’s tolerance towards online advertisements ends where excessive obtrusiveness steps in. It’s typically okay to see sponsored content on websites whose owners need to make a living and therefore cooperate with ad networks to promote services and products via targeted ads. An alternative trend that’s gaining momentum these days is to deploy in-browser cryptocurrency mining with the visitors’ consent, but that’s a different story and the user experience impact can be tangible in this scenario. One way or another, the fundamental thing that makes such campaigns legal is that the adverts or mining need to be triggered on the server end. This routine gets nasty as soon as malicious code like Ads by Lyrics becomes part of the equation. The virus makes the display of ads isolated to a particular Mac computer rather than a specific site, which is what makes the difference. Mac users who are confronted with an influx of Lyrics ads in their browser tend to be clueless about the way the culprit infected their machine. This is understandable, because the infiltration is always covert. However, the common denominator in all of these incidents is bundling. The malware is deposited on Macs through multi-component installs, where some benign app poses as the red herring that obfuscates the process of malware intrusion. Bedazzled by the “lucky” chance to install something neat for free, users run the risk of clicking through the setup client’s options headlong, only to accept the default terms that conceal the booby-trapped nature of the whole occurrence. The Ads by Lyrics malware is thus granted significant privileges while the admin doesn’t even know it is getting on board their system. Although the perpetrating app manifests itself in web browsers only, its actual footprint on the Mac is bigger than that. It meddles with the login items list in order to automate the execution of the harmful process, which will be triggered at boot time. But again, the attack surface mostly applies to Safari, Chrome or Firefox on Mac – all of these browsers are susceptible to the adverse effect because the junkware is cross-browser. It injects a persistent plugin that creates a virtual layer sort of covering the content of nearly every visited web page. In the upshot of this, the victim will be constantly stumbling into Ads by Lyrics on ecommerce sites, search engines and a myriad of other online resources they go to. These obnoxious entities can assume the shape of popups, interstitial ads, coupons, comparison shopping items, banners and the like. There can be different spelling and wording variants of how these advertisements are labeled. Aside from the common name version above, it can be “ADS BY Lyrics”, “Lyrics ads”, “Sponsored by Lyrics”, or “Brought to you by Lyrics”. At the end of the day, these items start occupying so much space in regular web page layout that reading and viewing the content becomes a challenge. To top it off, transitional ads will keep popping up in separate browser windows and thus reduce the Mac’s productivity to an appreciable degree. Numerous in-text links that the Ads by Lyrics virus also embeds will be the last straw to many of those infected. Overall, this predicament requires action on the victim’s end otherwise it won’t let go on its own. The fix includes a thorough removal of the underlying Ads by Lyrics malware and then troubleshooting of the affected browsers. This is what the sections below are about. When confronted with malicious code like the Ads by Lyrics virus on Mac, you can neutralize its toxic impact by leveraging a specially crafted system utility. The Freshmac application (read review) is a perfect match for this purpose as it delivers essential security features along with must-have modules for Mac optimization. This tool cleans unneeded applications and persistent malware in one click. It also protects your privacy by eliminating tracking cookies, frees up disk space, and manages startup apps to decrease boot time. On top of that, it boasts 24/7 tech support. The following steps will walk you through automatic removal of the Ads by Lyrics Mac infection. 4. Check whether the Ads by Lyrics problem has been fixed. If the lock screen is still there, go to the Uninstaller option on Freshmac GUI. Locate an entry that appears suspicious, select it and click Fix Safely button to force-uninstall the unwanted application. 5. Go to Temp and Startup Apps panes on the interface and have all redundant or suspicious items eliminated as well. 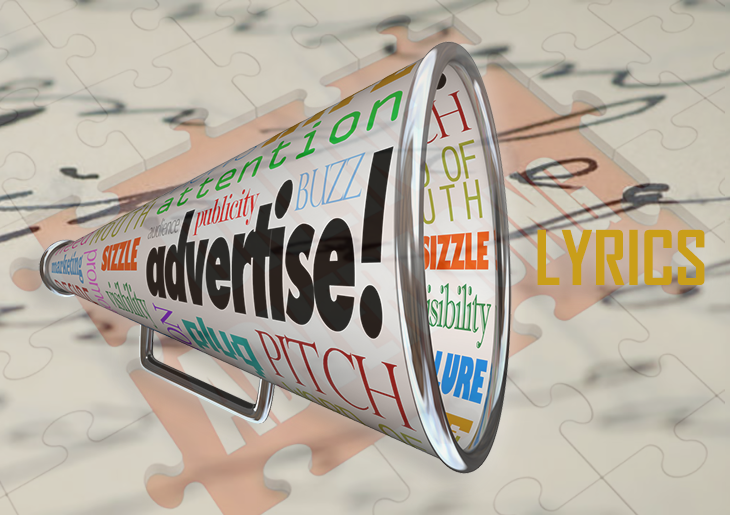 The Ads by Lyrics malware shouldn’t be causing any further trouble.